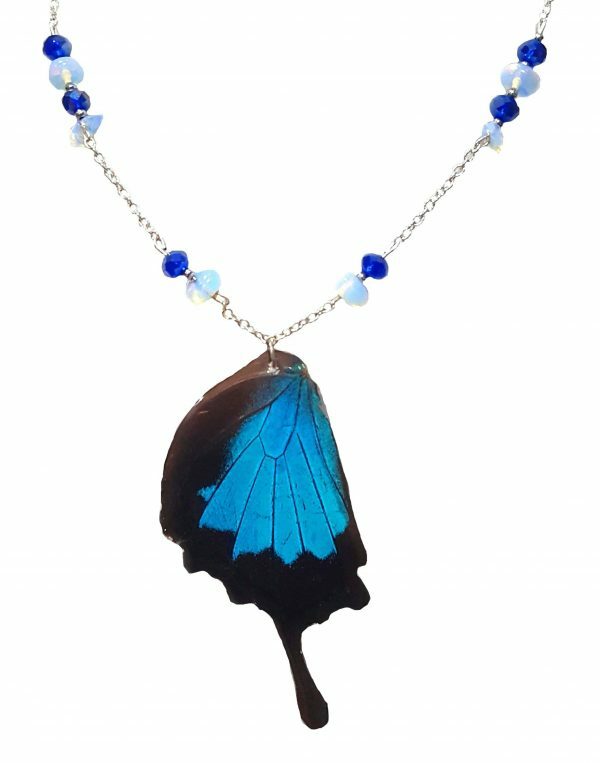 This real butterfly wing pendant is made with Papilio ulysses AKA Blue Mountain butterfly. Butterfly died naturally after living a full life. 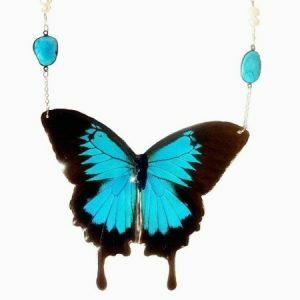 Purchases help save the rain forest and butterfly populations. Real Butterfly Wing Pendant is handmade to perfection. Coated in resin for longevity. Real Butterfly Wing Pendant with last a lifetime. 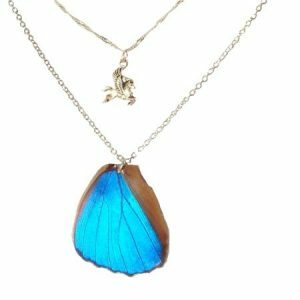 This Butterfly Wing Pendant is one of our best sellers and sells out fast,.